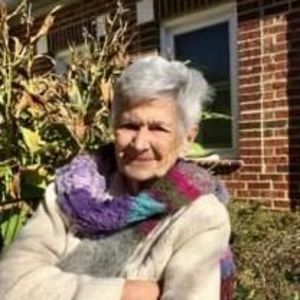 Elizabeth Josephine Anderson Hughes, 97, passed away on Friday, January 12, 2018. Jo was born in Pineville, KY on November 27,1920, the daughter of Marvin Leslie Anderson and Rebecca Elizabeth Inman Anderson. Jo was raised in Harlan, KY and attended Maryville College in Maryville, TN. She married John Rodman Hughes in 1946. Throughout their marriage they lived in four states, Germany and Belgium. Following John's death in 1971, Jo moved her family to Raleigh in 1972, where she worked as a bookkeeper until her retirement in 1996 (age76). She remained active throughout her life in her church and in the loving support of her family and grandchildren. Family was paramount in Jo's life. Her unwavering dedication and love for her children and her grandchildren was an example to us all. Jo exemplified in every way the Greatest Generation. She was the rock of our family and will always be missed. Rest in peace, POJ. In addition to her parents, Jo was preceded in death by her husband, John; brother, M.L. Anderson; and sister, Jane Anderson Lewis. Jo is survived by her four children, Benjamin H. Hughes (Jane), Beca H. Mitchell (Philip), Gladice H. Sefcovic (Dusan), and Rodman L. Hughes (Melinda). She is also survived by her grandchildren, John R. Hughes II, A. Evan Lamb (Michelle), Drew R. Lamb, Joseph P. Hughes (Kristen), and Elizabeth J. Hughes and her great grandsons, Conner P. Hughes and Cody A. Everest. A funeral service will be held Friday, January 19th at 11AM at Christ Episcopal Church in downtown Raleigh. Reception to follow in the church parish hall. In lieu of flowers, memorial contributions may be made to Christ Episcopal Church.